We are currently working with a network of national, regional and local groups in the U.S. to get Chase Bank to stop funding fossil fuel infrastructure. 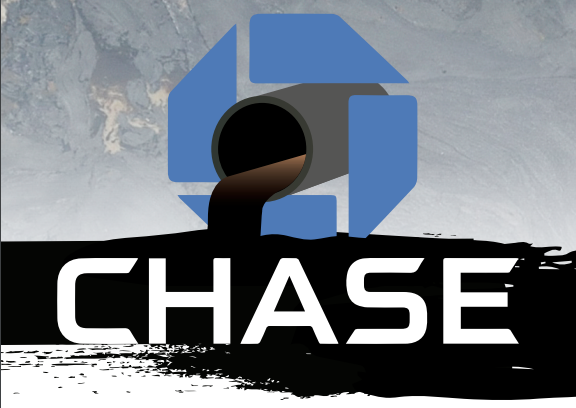 JP Morgan & Chase gave $195 billion to the fossil fuel industry since the Paris Climate Agreement was signed in 2016, making them the #1 Wall Street funder of tar sands oil, one of the dirtiest fossil fuels on the planet. The Bank currently provides lines of credit to fund Keystone XL, Dakota Access and TransMountain. By pressuring Midwest stakeholders, we can influence the broader institution through CEO Jamie Dimon to stand on the right side of history. Read more in Rainforest Action Network’s 2019 Banking on Climate Change Report. This campaign follows the call of Indigenous-led and other frontline groups who are strategically targeting banks and financial institutions as part of the global struggle to divest from fossil fuels and invest in renewable infrastructure.